If you’ve ever heard a friend or financial expert tout the benefits of a reverse mortgage, you probably have a basic understanding of what one is – a way to generate income using the equity in your home. While the loan is indeed a way for seniors to bring in some money if finances get tight, you need to be aware of how a reverse mortgage affects your taxes. Are Reverse Mortgage Payments Taxed? It’s important to note that a reverse mortgage doesn’t necessarily provide funds that are classed as income in the world of finance. You will receive money from a reverse mortgage, but it’s considered a loan in the eyes of everyone involved since you’re not earning the money through work or passively through investments. Because of that, reverse mortgage payments (money you get from a reverse mortgage) are not taxed and they won’t affect your Social Security payouts or Medicare benefits. In other words, reverse mortgage payments aren’t taxed because the lender is really just returning to you the money you paid in via your mortgage payments while you return the equity you built up in the property over the years. You made those mortgage payments from your income, which was already taxed. How Does a Reverse Mortgage Affect Tax Deductions? As the name implies, a reverse mortgage is essentially the opposite of a regular mortgage. That means that not only are tax implications different, but tax deductions are different as well. With a regular mortgage, interest the borrower pays can be written off on their taxes each year. With a reverse mortgage, however, that interest isn’t written off until the loan is paid back (because the borrower isn’t paying it yet). According to IRS Publication 936, “Any interest (including original issue discount) accrued on a reverse mortgage isn’t deductible until you actually pay it, which is usually when you pay off the loan in full.” Read up on IRS Publication 936 if you want to know exactly how writing off mortgage interest works. 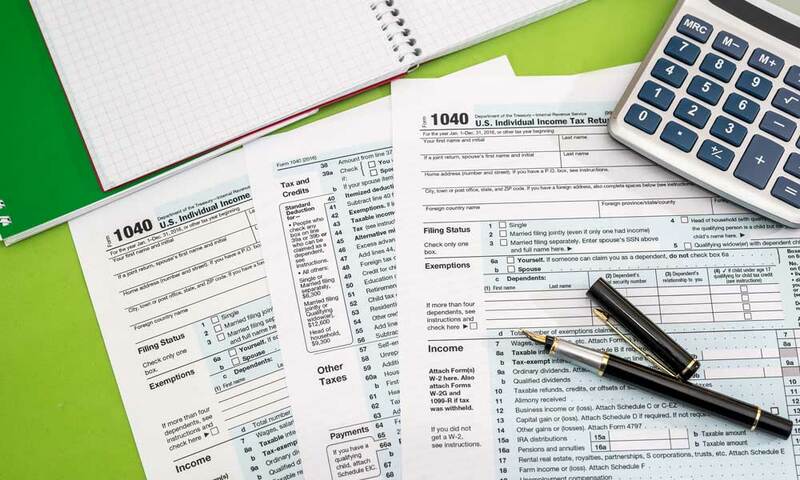 Since you’re still responsible for paying them, property taxes can still be written off as a deduction while you have a reverse mortgage, but only about 30 percent of people do that with a regular mortgage anyway (with the percentage of seniors being even smaller). And since new tax laws allow homeowners to write off less of their property taxes than before, this is a situation that won’t apply to most people. One area where a reverse mortgage could have an indirect impact on your taxes is in the area of capital gains, or profits from selling an asset. Selling your home doesn’t happen often with a reverse mortgage since it is best practice to remain in your home while you have one, however, sometimes it is necessary. You could owe capital gains taxes when you or a family member sells your home to pay off the reverse mortgage. What’s important to remember here is that it takes substantial capital gains before you hit the threshold where the IRS is interested. If you’re single, up to $250,000 of home appreciation is not taxable. If you’re married, that doubles to $500,000. Even then, you’re only paying taxes on the appreciation above that point. That means if you bought your home for $250,000 and sell it for $350,000, you won’t owe capital gains taxes because you only made a profit of $100,000 when you sold the house. There’s a capital gains tax exemption that applies if the home was your primary residence for at least two of the past five years and further exemptions if you’re making a move because of health or employment-related reasons. Keep in mind, home improvements or renovations increase your home’s value, so if you made $100,000 in renovations on your $250,000 home, you wouldn’t owe any capital gains tax. Think of a reverse mortgage as slowly selling your house. Remember that the fees, costs, and interest that go along with a reverse mortgage mean you’ll get less income than you would have selling it outright. So a reverse mortgage is the best option for seniors who need some extra money, want to live in their current home indefinitely, and don’t care about passing their house on to another family member when they’re gone. This is a very common decision for people who don’t have kids or other immediate family around because they’re essentially selling their house after they’re gone and enjoying the money now. The short answer is that a reverse mortgage will likely have no effect on your taxes except in a few rare cases on what you pay or on what you can write off. If you’re considering one of these loans to bring in a little more income, make sure that while you’re deciding if it’s right for you, you don’t figure in Uncle Sam taking a chunk of your proceeds. A reverse mortgage has helped many seniors have greater financial security in their golden years, so don’t let a fear of taxes make you miss out on a better life. Steps To Retiring With A Reverse Mortgage Pay Attention to These Reverse Mortgage Scams Do You Qualify for a Reverse Mortgage? What is a Reverse Mortgage?